Lesser Calamint is a compact, bushy, rhizomatous, perennial herb that grows around 2 feet (60cm) tall and a spread of 2 feet 6 inch (75cm) wide. The plant is found growing on the banks and in meadows, while its original habitats included crumpled slopes and lightly filled mountainous outcrops. The plant prefers slightly acidic to slightly alkaline, dry to medium moisture, well-drained soils. 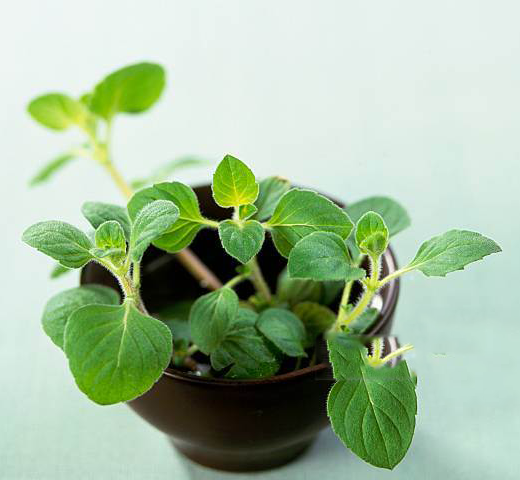 The plant has square stems and leaves are ovate, shallowly-toothed, dark green leaves that grow to around 2cm (¾in) long sit on very strong stems and are very fragrant, exuding an intense minty scent when crushed. The lesser calamint smells like a cross between mint and oregano. It attracts honeybees and butterflies. The medium-sized to large flowers are 5 to 20 blossomed cymes. The pedicle is 0 to 22 mm long and the tubular calyx is 3 to 7 mm by 1 to 1.5 mm in size and slightly downy to very downy on the inside. The upper tips are 0.5 to 1.5 mm and the lower ones are 1 to 2 mm, downy. They occasionally have long, ciliate hairs. It is also highly visible for its somewhat leafy and slightly showy inflorescence, which boasts pale purple to lavender-hued flowers with slight deep-purple spots near an ivory-white or light-purple center. Flowering normally takes place from Jul to September and seeds start ripening from Sep to October. 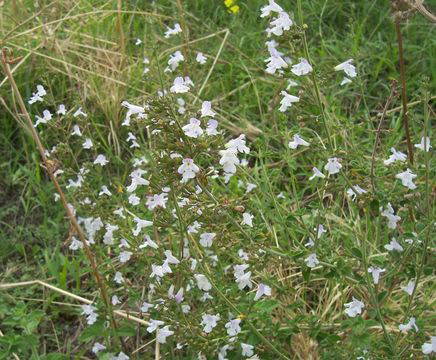 The average life expectancy of a Lesser Calamint plant is 3–4 years. It is susceptible to powdery mildew. Due to its primary use as a medicinal herb, lesser calamint is fairly popular for the following uses and applications in treatment of ailments. In addition to being a medicine for injuries, the herb may also be used to treat bronchial problems by using as a rub. People use it for respiratory illnesses as well. It is helpful in removing chest congestion and promotes sweating. 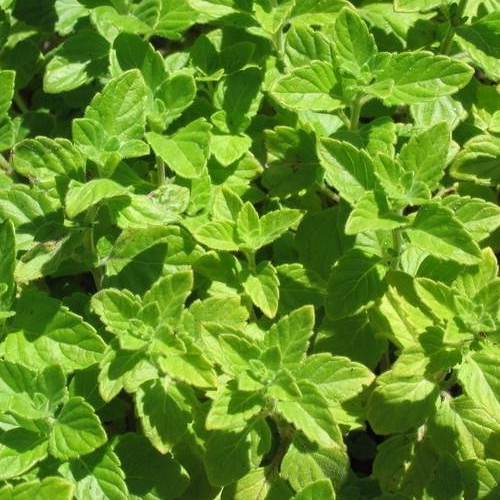 Leaves of calamint have a high content of menthol. This makes them a potential effective remedy for bruises and cuts. 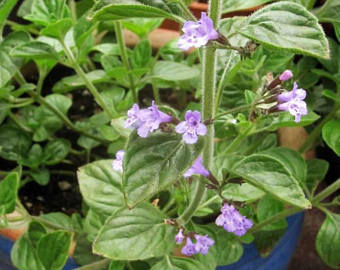 This herb when used internally is quite beneficial for treating depression, insomnia and other nervous disorders. Traditionally, the herb has also been used to add flavors to meat to add a new taste to the food. 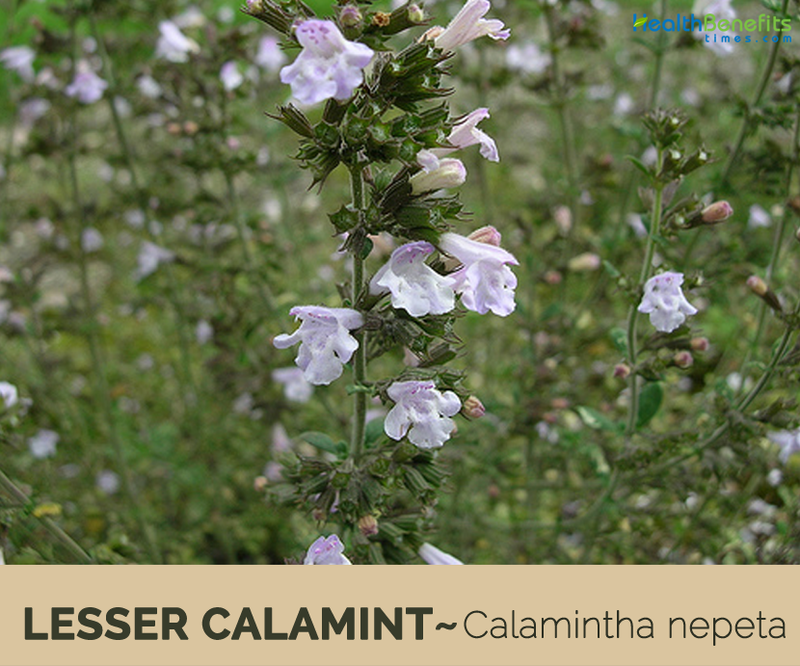 Lesser calamint was commonly used as a medicinal herb in medieval times, though is little used by modern herbalists. Whole plant is aromatic, diaphoretic, expectorant, febrifuge and stomachic. An infusion is beneficial in cases of flatulent colic and weaknesses of the stomach. 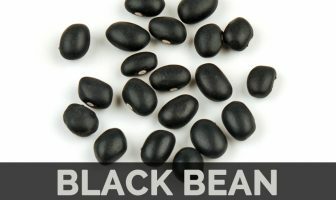 It is also used to treat depression, insomnia and painful menstruation. It can be used to treat flatulence (‘gas ‘or ‘wind‘), painful periods, depression, insomnia, as an expectorant for non-productive coughs, to reduce fevers and induce sweating. This cordial tea has the ability to improve restlessness, hysteria, tremors, palsy, and whopping cough, fever, indigestion, stomach aches, colic, bloating, flatulence, asthma, jaundice, anemia and lumbago. It was also used as expectorant. Juice of the leaves have the ability to expel tape worms, roundworms, hookworms and flatworms. During Middle Ages the plant was used for treating leprosy and skin diseases. Early Greeks used for curing snake bites. This plant was also used for treating many psychological ailments during those days. Moderately strong decoctions of the leaves were initially believed by early herbalists to help cure restlessness, hysteria, tremors, palsy, and whopping cough. Very strong decoctions of the leaves were used as a diaphoretic for the treatment of very high or intermittent fevers, as well as to remedy bronchitis and asthma, often in combination with honey and cinnamon. When used topically as a warmed poultice, the leaves make for a perfect remedy for bruises and may hasten the recovery of sore, tired muscles. If combined with turmeric or ginger, it makes for an excellent analgesic, and may even be employed to treat rheumatism, arthritis, and gout. 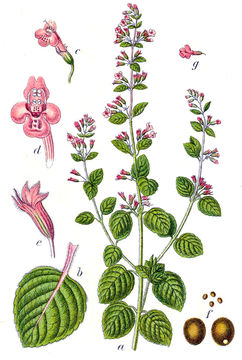 In the middle Ages, where lesser calamint’s use was at its most prolific, it was even said to have been steeped in wine, the resulting concoction then applied topically in very liberal amounts as a remedy for leprosy and all sorts of other skin diseases. Poultice of its leaves was believed to be a potent remedy for snakebite. 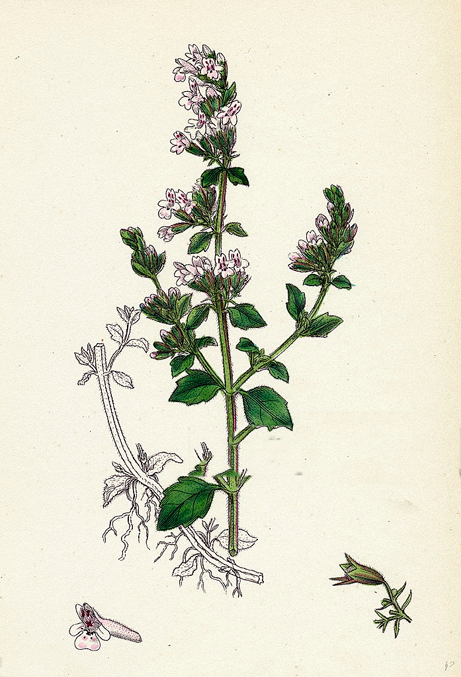 Early herbalists believed that the diaphoretic properties found in lesser calamint helped to flush out the poison imbued in snake-bite. Essential oil of calamint when combined with base oil, it can be applied topically to act as an analgesic, anti-fungal, antimicrobial, and antipyretic. Essential oil mixed with warm water, it can be used as an inhalant to help relieve nasal congestion, help to ease the discomforts of asthma and bronchitis, as well as aid in the expectoration of phlegm and the remedying of whooping cough. It helps relieve convulsions and cramps and can be used to kill worms when consumed with salt and honey. Leaves when crushed can also be rubbed on muscle cramps for providing subsequent relief. The drug is also used in folk medicine for hiccups, tinnitus, as a diuretic and for stomach complaints. It is also as a spice in the Italian cuisine where it is called mentuccia, nipitella or nepitella. 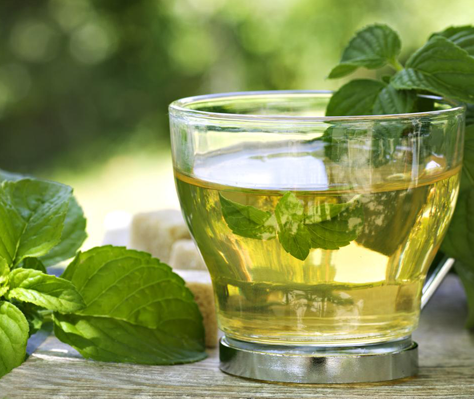 A sweet and aromatic herb tea is made from the leaves. It was used, often extensively, to flavor gamey meats and an assortment of other hearty, meat-based dishes, not limited to lamb and veal, but inclusive of everything from beef to goat’s meat. 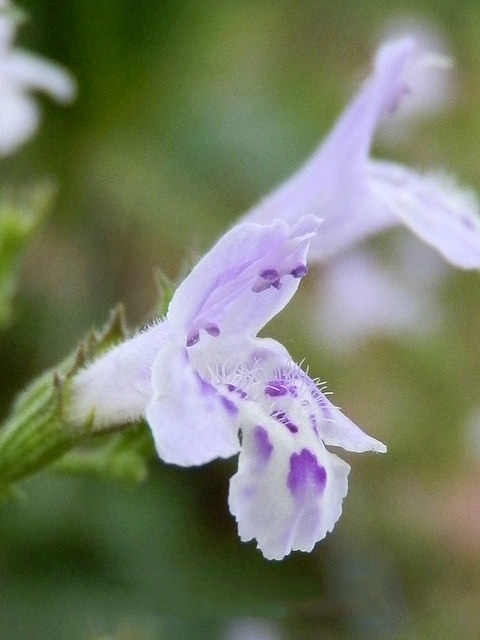 The appropriate dose of calamint depends on several factors such as the user’s age, health, and several other conditions. At this time there is not enough scientific information to determine an appropriate range of doses for calamint. Keep in mind that natural products are not always necessarily safe and dosages can be important. Be sure to follow relevant directions on product labels and consult your pharmacist or physician or other healthcare professional before using. Excellent edging plant for walks, patios or herb gardens. 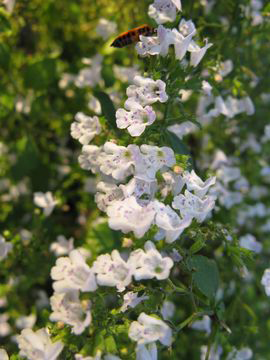 Cats like this low maintenance lesser calamint since it can excite, agitate or intoxicate cats. This aromatic plant was once a very popular medicinal plant in Eastern Europe where it grows prolifically. Cordial tea made from the extracts of the leaves was very famous during Victorian Era. Leaves may be dried for potpourris or sachets. It should not be recommended for pregnant women since in excess it can cause a miscarriage. Children below the age of ten should not be given very strong doses of lesser calamint. It may hinder the process of conception in women as well.